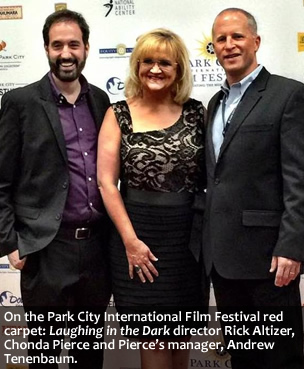 PARK CITY, Utah — Chonda Pierce: Laughing in the Dark, the Fathom Events and Fuseic Entertainment hit box office presentation now available on DVD, took home the Documentary Feature trophy at the inaugural Park City International Film Festival held recently in Park City, Utah. Selected for the prize by the festival’s Grand Jury of noted film and television actors, producers, composers and directors, Chonda Pierce: Laughing in the Dark was nominated alongside Many Beautiful Things, starring Michelle Dockery and John Rhys-Davies, as well as Thank You for Playing, Right Footed and The Evanescence of Hope. Following the acclaimed documentary’s Park City International Film Festival screening, Pierce and director Rick Altizer participated in a special Q&A for attendees. 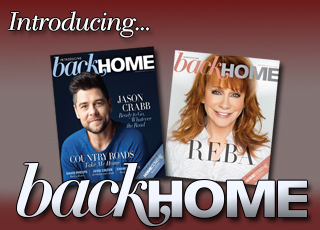 In addition, she presented her signature brand of stand-up comedy, headlining “Chonda Pierce Live” among the festival’s weekend events. Along with worldwide premiers, gala concert events and celebrity receptions, the Park City International Film Festival includes panel discussions with world-renowned speakers and industry professionals. Topics range from faith and family in film to emerging distribution technologies and funding for films that improve humanity. The festival unites artists and audiences seeking to elevate the human spirit and strengthen families through the cinematic arts. 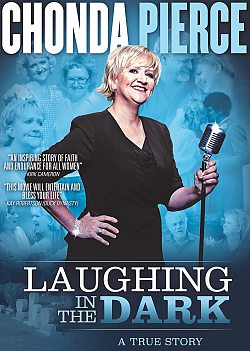 About Chonda: Chonda Pierce has been making people laugh for more than two decades with her winning combination of fierce wit and southern charm. The Recording Industry Association of America's (RIAA) best-selling female comedian of all time, Pierce has earned five Daytime Emmy® Award nominations, performs in countless churches around the country each year, and is ranked among Pollstar’s top-selling live performers with six Platinum DVDs and three Gold DVDs to her credit. A deeply personal glimpse into her life, “Laughing in the Dark” chronicles Pierce's faith and perseverance through a series of tragic circumstances, including the loss of her husband. Filming is currently underway for Pierce's next film, slated for release in 2017. For further information, visit chonda.org or turningpointpr.com.